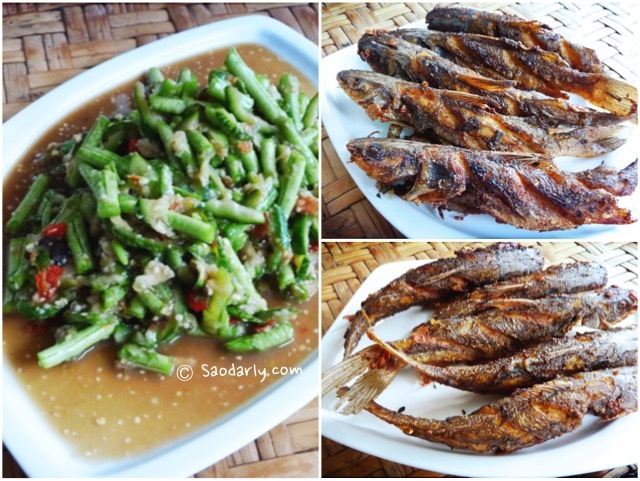 A lunch in Vientiane with homemade spicy string beans salad (Tam Mak Thua; ຕຳໝາກຖົ່ວ) and fried catfish (Tod Pa Douk; ທອດປາດຸກ). 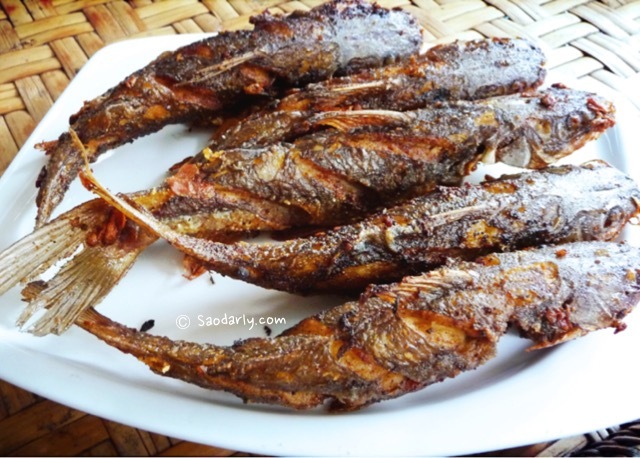 The spicy salad went well with the greasy and crispy fried fish. 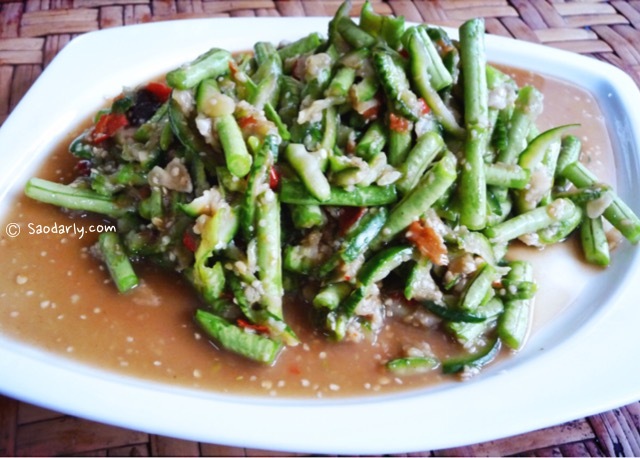 When I visit my relatives in Laos, I like to ask for the two dishes to be made specially for me. 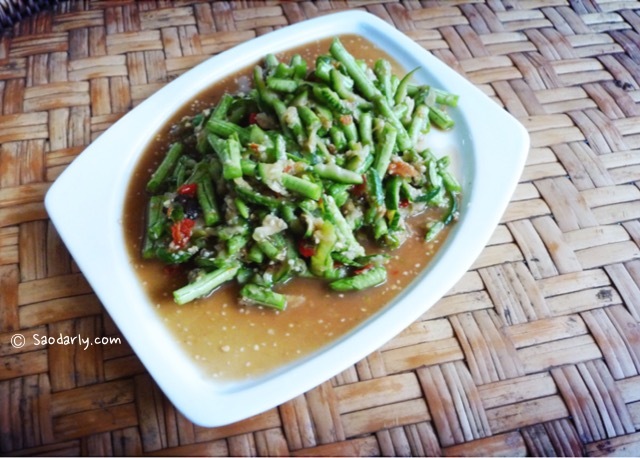 It was a simple but delicious meal served with plenty of fresh steamed sticky rice. 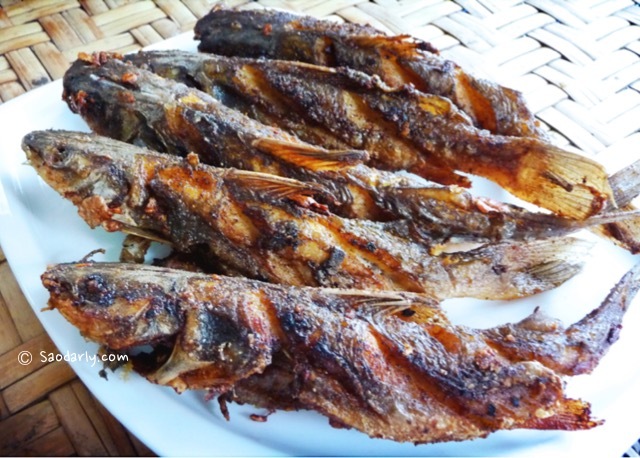 This humble lunch reminds me of when I was a little kid living in Vientiane, Laos. My Mama often made these two dishes for lunch or dinner. It was extra special when my mother and I were able to catch a handful of catfish from the local pond or marsh. Pen tha sap! I want some now.